Tiger’s Eye is a stone of courage, strength, will and personal power. 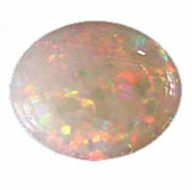 It is very sensual, grounding and insightful and is considered a good luck stone. It is worn to help promote energy flow through the body and because it encourages stability and support through stressful times. It also helps digestion and overall health. Tiger’s eye with its bands resembles an eye of a tiger, so it is received its name due to this similarity. Tiger Eye is the anniversary gemstone for the 9th year of marriage. Roman soldiers wore tigers eye for protection in battle. Tiger Eye was thought to be all seeing due to its appearance. Tiger’s Eye is used for focusing the mind. It is said that Tiger Eye offers protection during travel, strengthens convictions and confidence. 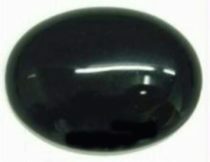 This very warm stone is beneficial for the weak and sick. Tiger Eye’s primary mystical property is that it provides mental focus and confidence. It helps you face and overcome difficult challenges and stick to your plans, despite discouraging setbacks. For this reason, it is sometimes marketed as a gem that brings professional and financial success. It is also believed to protect you during your travels because the mental focus keeps you aware of the dangers of your new surroundings and take appropriate cautions. For the same reason, Roman soldiers used to wear Tiger Eye for protection during battle. If you have the habit of giving up and backing down from your fears, and of being easily distracted from what’s important, maybe Tiger Eye is the gem for you. Tiger’s Eye (Tiger Eye) is a stone of protection that is also very grounding. It enhances the integrity, willpower, practicality and correct use of power. It is a stone that enhances good luck, and brings prosperity, often in the form of money. Tiger’s eye is also a very protective stone which is especially protective during travel. It can also help one see clearly without illusion. Tiger’s eye brings a special boost to the solar plexus chakra and to one’s personal power. It is Also very Effective where Person Have Speech Problem due to Lack of Confidence or when any Person wakes up in Afraid due to Bad Dreams Tigers eye is a Powerful Stone Ideal for Increasing the Confidence for people who need more confidence to accomplish their goals. It helps the person to judge a situation and determine how best to approach it. It helps the wearer to find the most advantageous and positive way to reveal their inner energy and light. Draws helpful people and material things to the wearer. Centres energy and mental focus. Charm against evil spirits. 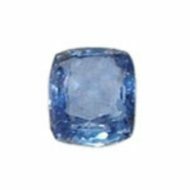 In gem lore, this stone is believed to enhance confidence, focus the mind, and enable the user to see clearly without illusion. Perhaps that is why Tiger’s Eye is the favourite gemstone of His Holiness the Dalai Lama.